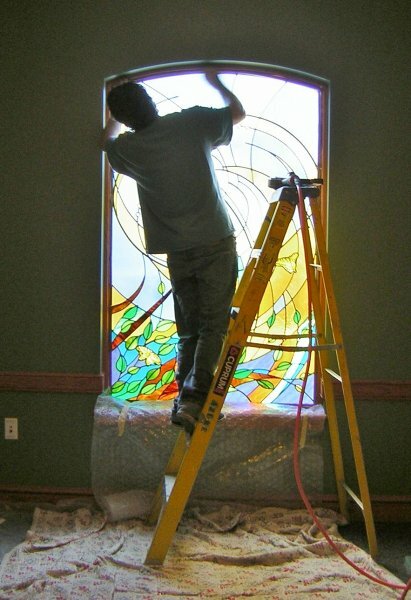 The chapel at the newly built hospice called for a 6′ tall stained glass window. Design elements were to include the swallowtail- the hospice logo, and something suggestive of a tree. We designed a panel to be non-denominational/religious, yet with a spiritual flow of lines and warm color palate. Non-transparent glass was used to obscure the view into the chapel from the patio out side. 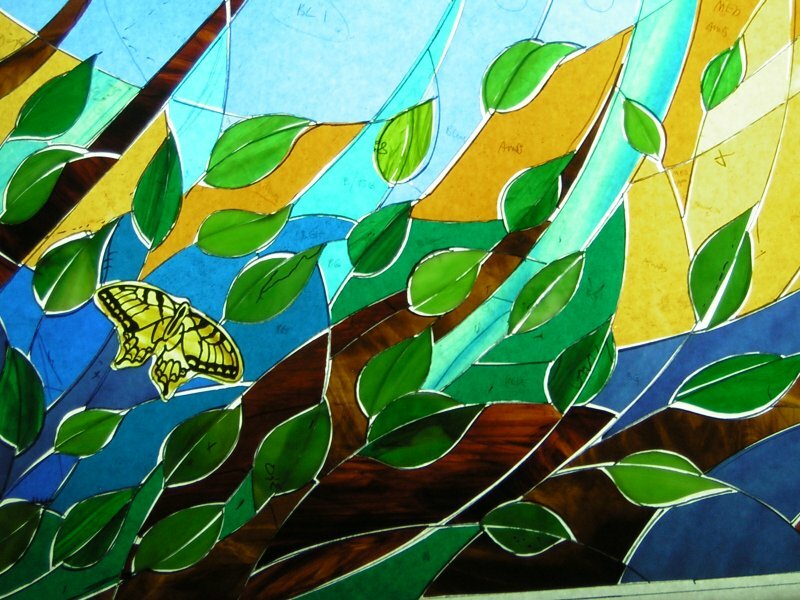 Azure studio designs, fabricates, and installs new stained glass windows in traditional or contemporary styles. 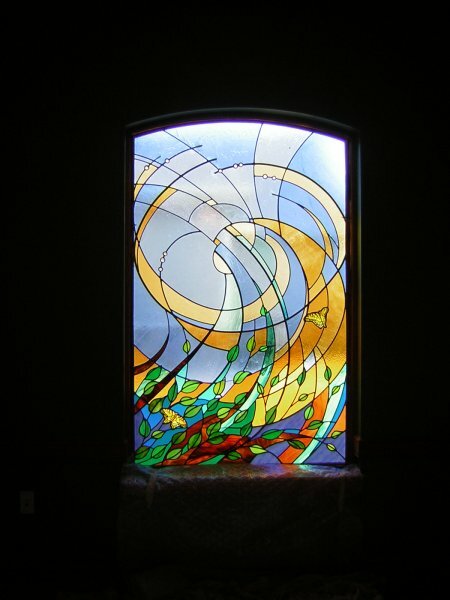 We offer all types of art glass production services including glass painting, etching, and sandblasting.